Our Aber side hinged garage doors are great if you want to let some natural light into your garage but still want to keep your privacy (what happens in the garage stays in the garage!)! Comprising one rectangular opening for glazing within each garage door, the area for glazing being far higher up the doors than any other of our garage doors with windows! Want a specific height for the glazing panel to start? 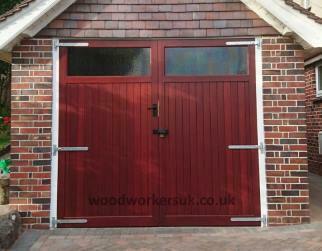 Then please get in touch with your requirements, as our Aber garage door can be customised to your requirements. As with all of our garage doors, the rear of the doors feature a mid height (between Transome and bottom rail) barefaced rail (hidden rail, only visible from the rear of the doors). This rail gives additional strength to the boarded area. On top of that you’ve guessed it! 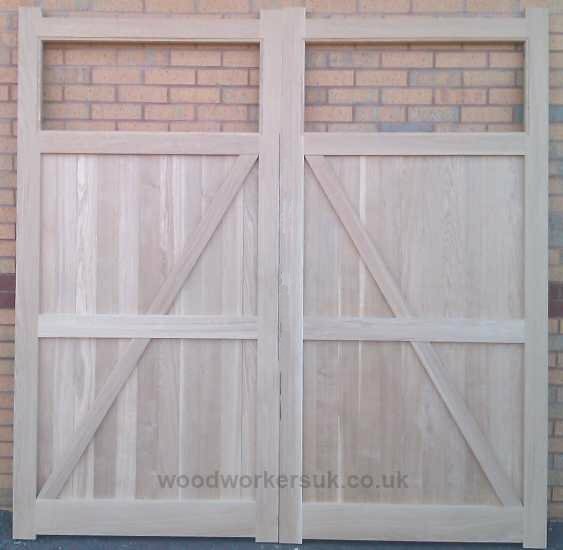 The Aber garage doors are based on a through wedged morticed and tenon jointed frame (did you expect anything else?)! Pre-beaded internally – The Aber is supplied pre-beaded ready for glazing. 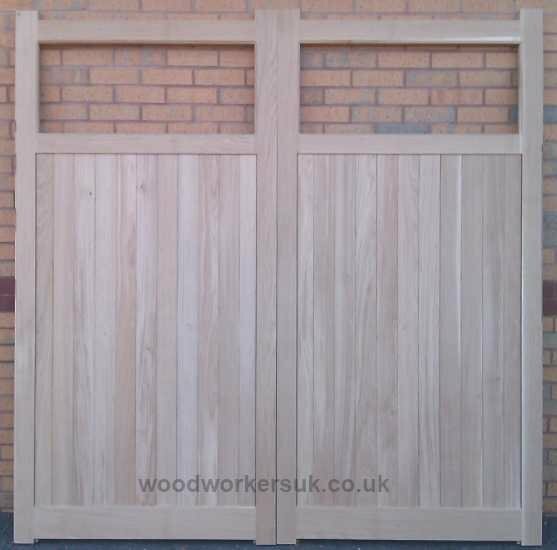 The Aber guide prices are based on a pair of doors 6ft 6 high x 6ft 6 overall wide (approx 1980mm high x 1980mm), these are NOT from prices, smaller doors will be more economical etc – contact us for a price! All prices are correct time of insertion and are EX VAT. Free delivery to most parts of the UK mainland is included – exclusions do apply, again please contact us. To get a personalised costing on our Aber side hinged garage doors please use the form below.